"New Artist of the Year" Maple Blues Award! 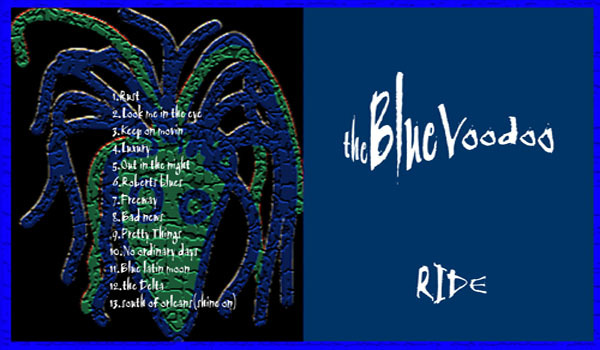 Since 2000, The Blue Voodoo have played their brand of blues rock at just about every possible venue in Western Canada and Europe. They have grown a fan base around the world in the roots blues genre. 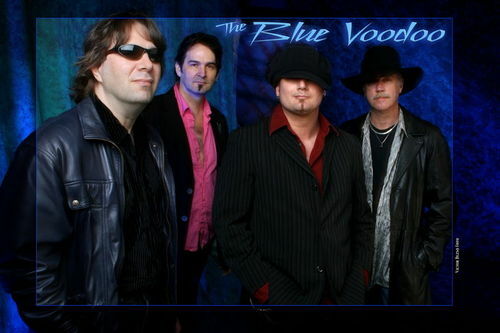 After two CD releases and Award nominations from the Toronto Maple Blues Awards in 2003 for Best New Artist and last year receiving a nomination for Most Outstanding Blues CD at the 2005 Western Canadian Music Awards The Blue Voodoo look to add to their booty of nominatons with their upcoming 3rd CD release. Through-out the last 6 years The Blue Voodoo have brought a level of excitement and energy to the shows they perform unmatched by any other group for some time in The Vancouver Area. Acclaimed as "The Show To See" in this Area by Now Entertainment Columnist Dave Chesney, The Blue Voodoo have revved up their show with a higher octane dynamic powerhouse performance with new material and new faces. Drummer Kelly Stodola brings a slamming driving style that elevates the magic of the Blue Voodoo Vibe, coupled with the talented Bass playing of Gerry Berg the New Look Blue Voodoo now has the engine to drive the group to the next level...Watch out, cause the Voodooheads are on the loose. Look for their New CD Back to the Shack. Please sign up to our e-mail list. A great big thank you goes out to everybody helping to support us.We greatly appreciate everyone who's coming to our show's , purchasing our fine voodoo products and spreading the voodoo word!!! You guy's are on fire!!!!!!!!!! We are in the process of ordering more hat's and baby t's for all you fine young ladies who have been inquiring.There comin guy's!!!! Join the theBLUEVOODOO Mailing List at StarPolish.